About two months ago I was invited to have some regular contact with an elderly woman who has been diagnosed with dementia and now lives in a home for elderly people with this condition. So I went to meet her and got to know the dementia nursing home and the staff that worked there. What I observed is that many of the residents were missing a sparkle in their eyes, or appeared vague with this blank stare. Most of the residents can‘t walk anymore and they just sit all day, with very little activity. It was eye-opening for me to see people spending the last few years of their lives this way. Seeing many of these elderly residents just existing in this haze, it made me consider – there was something more. Seeing all these people living with dementia was confronting to me because it made me become more aware of the way I used to live – and still partly live – my own life. I started to ponder more deeply on my own ways of checking out, of going off into my head, letting my mind go anywhere, doing things without being totally present. I regularly checked out with distractions like surfing the internet or watching TV for hours, eating, talking, thinking, escaping into my mind, internet shopping or looking for a new home. An activity like surfing the internet itself is neutral, but it was the quality I chose to do these activities in: my intention was often driven by not wanting to feel and deal with what was really going on for me and the people around me. I could feel how long I have lived avoiding to truly feel what is going on within and around me – so I started to realise that giving up and checking out is very familiar to me. I have not been taking responsibility for how I live and I have not been wanting to feel what I was feeling. My experience now is: the more I allow myself to feel the more aware I get, even if it’s very confronting (like feeling people with dementia), and even if I have to feel my own choosing to check out. But this way I get to know more of me. Now I have to really turn around the way I live to support myself lovingly, to feel all and to stay present with myself and with what I am doing at any given time, and not to run and numb myself when I can feel some struggle or pain. When I allow myself to feel all, I give myself permission to also feel the love and joy that I am and that is all around me: I now finally have felt this very clearly too. In Germany we have at present about 1.4 million people with dementia and they expect a rise up to 2.2 million by 2030 (1). Something is going horribly wrong here. There is no coincidence in the way dementia is on the rise if we truly consider the way many people live their lives. Dementia is not only a side effect of people getting old, it is a clear reflection of a society which is choosing to check out and distract as a normal way of being. And then, after doing that for years, they are ending up not wanting to feel how disconnected they have lived and finally want to escape from life completely. Becoming aware of all of this and being honest with myself and how I was living, I now appreciate how much I have changed my way of living. From watching TV a lot and drinking alcohol every day throughout my adult life until I was about 30 years old, to now choosing to engage in life more fully. Now I have a different marker in my body and I can see and feel that I am not empty but that I am full of life and vitality; this gives me a constant reminder to choose to stay present. So now I present my whole self to that elderly lady with dementia, making sure I stay mentally present, not allowing myself to react but connecting in a loving way with her. With that I am reminded that there is a different way, and that is what I bring into that home for people with dementia….. this is much needed. I have started to connect to other people who work with people with dementia and I have started to talk to people about dementia in general. We need to really start to ponder on what is going on here, and to start the discussion…. what has led us to this epidemic? Inspired by Serge Benhayon, Universal Medicine and the Esoteric Student Body. I have met some very inspiring people in their elder year, they still have that spark in their eye and love life. Every choice we make daily will contribute to the quality we live in in our elder years. Beautiful reminder to me about the importance of being present in all that I do and the encounters I have, as the quality of my presence may be inviting for more disconnection (if I’m checked out too) or igniting awareness. Great responsibility to acknowledge! Dementia is massive sign to all humanity that how we are living is far from true. It is almost an epidemic now and people look forward to retiring have definitely checked-out as what retirement feels like is a way of not fully committing to life! When we are committed to life a vitality is felt that lasts and is felt in our every movement so we live with a joy and harmony with our-selves and all others, which is the feeling we express and share with others. Dementia is horrible, it’s avoidable and it is growing – this says a lot about how we are living as human beings. Checking-out with things outside of us instead of checking-in with who we are. It is easy to be critical of another with dementia, however, on some level we all know how to ‘check out’ and not be present and even then there are levels of presence! Likewise we can feel when someone holds a very strong level of awareness and presence and this is very beautiful and inspiring. And so we have a choice each and every day to support ourselves with the presence and this can in turn inspire others to do likewise. A win win all around. ” An activity like surfing the internet itself is neutral, ” I wonder if it is as neutral as we might at first think? I know there are times when I have looked for something on the internet, expecting to be on there a few minutes and I am distracted by something else and before I know it 2 hours have passed that had no purpose other than to distract and entertain. Purpose is a great antidote to entertainment, if it is not truly adding value to life and supporting us to evolve then what is it’s purpose? I agree Alison with the internet we need to sharpen our powers of discernment, I too can go on to Facebook for example just to wish someone a joyful Birthday and find myself looking through the feed and getting distracted. Interesting that I get these notifications by email every time a Facebook friend is having a Birthday…and interesting that I sometimes have a knee jerk reaction to follow it up. Likewise in researching something…it is the curiosity of the mind that can take us off on these forays. Continually checking in with the breath and body supports us – the more we use these markers on a regular basis the more they become our truth…and we become true. ‘what has led us to this epidemic?’ great question and one I feel we are turning a blind eye to. I see a lot of people turning to distraction and numbing out, especially with technology. I hear people talk about self-care as binge watching TV and taking time out. I look at how I can want to retreat from the world and not be present. I know this isn’t what is needed or what supports my health in anyway. Just recently someone told me that they recognise that they tend to “leave their body” more when they are stressed. She had just been watching me and experiencing me in a truly full body activity which inspired her to check back in with herself and unsurprisingly she felt a whole lot better and back in her body again. This is so important. Great point – it’s not what we do, as in, an activity can be neutral – but how we do it – the intention behind it, that makes the difference between whether it is something that deepens our connection with one another and the wider world, or distances us from it. Thinking about connecting to what we can feel is very different to actually just connecting to and being aware of what we can feel. Being present and feeling what is going on for us is one thing, but what is our ability to accept life as it is without avoidance or reaction? Living wth my mother with dementia for many years was an experience that brought understanding and the importance of presence and commitment to life to my life with the support understanding and root cause of this from the way of living with Serge Benhayon and Universal Medicine that made all the difference and is a vital part of our lives to remain who we truly are. I regularly go into these care homes to help out, and the first few times was a real eye opener, and quite distressing how many people spend the last few years of their lives in this zombie like state. This brings it back to the importance of healing ourselves, of making sure we are present in our bodies, and healing anything that may hinder that. All illness and disease have an underlying cause. The more we are open to seeing the root cause of an illness the more we will be able to deal with it and indeed prevent it. Yes, it is the only way really, to address and heal the underlying cause, otherwise we are just dealing with symptoms which were really just a warning signal from our body that something was wrong. The thing that I like to remember when I meet a person who has dementia, is how once they were vibrant and strong and full of life, and even though those times have past, that person, or the essence of them, still remains. From my experience with dementia it is not something that any of us want to experience it can be a very slow and horrible way to die. There are only a few people in the world that are honest enough to speak the truth of the energy behind dementia and because no one seems prepared to listen or take responsibility then it is a illness that will increase just like all the other illness and diseases that we get because we disregard our bodies and ourselves. Great questions Janina, and the biggest one here is why we all check out, for dementia doesn’t just occur overnight, it happens much earlier and each of us has our own habits and ways of checking out, so the question then becomes what is going on in life that so many of us want to not be a part of it? How are we all living, and how we do support each other to live in a way which means we do not check out? For me it starts with getting honest with myself, with what I’m doing and why and to support myself when I find myself not being there, and to ask for support from others if I need it. And the biggest thing to understand is we do not do this alone, we do it together. When you check out from feeling the stuff you don’t want to feel, you also check out from feeling the amazingness of yourself, the joy of being you. It is like we throw the ‘baby out with the bathwater’. It is about bringing a true understanding why it is important to stay connected to our feelings and not checkout. When we love our selves deeply we are able to bring this level of true understanding. What I notice about this article, is how ‘checking-out’ from oneself is also a distancing from everybody else, and as this gets compounded in our elder years, it also becomes apparent of just how much we really need eachother and to constantly work on remaining open and connected with eachother. Yes I agree, dementia exposes how we have been living and the lack of connection to ourselves and hence towards others in our lives; unless we make our lives truly about people and our connection with one another then there will always be an opening for dementia to occur. Great and confronting article Janina. And very needed. It made me also reflect on my own way of living. And up to very recently, I was getting also more foggier each day, allowing the wrong energies in, because I chose to NOT be in my body as my first responsibility. Is this leading up to dementia? I would fully say: Yes it is. Dementia is on the rise, so too is our many forms or entertainment and distraction – no coincidences there. Entertainment and distraction are a few forms that are affecting the alertness of one’s being. When we check out with all this we are saying its ok to be this way. Whenever we choose not to be with our body we are checking out. We check out not to feel because what we are feeling we think is too painful but in truth it is painful and can feel very uncomfortable not to feel as when we choose not to feel we hold ill-energy within our body. Connecting and allowing ourselves to feel no matter what it is or how ridiculous we make think it is, is amazing medicine for the body and something I am learning to give myself a daily dose of not because I don’t want to have dementia or other illness and disease but because I feel vital and alive when I allow myself to feel. Dementia is caused by choosing to not be present in one’s body or checking out as this is called. These days we are seeing checking out more and more everywhere and in younger and younger people, so the rates of dementia will continue to soar showing itself at increasingly younger ages. Until we accept that this is the cause, I cannot see any hope for this situation to not continue its worsening slide. So long as we maintain the dementia just happens, is just bad luck etc consciousness, we will not start to address the vast amount of checking out and giving up going on everywhere. To deal with the large number of people getting dementia now, and at an earlier age we have to look at the root cause of the disease and this article does that. When we don’t deal with our hurts we don’t want to be in our bodies and that brings about the need to check out. Dementia is telling us that we need to heal ourselves. Beautifully said Elizabeth what are those tensions in life that we find so difficult to deal with that we avoid by checking out and distracting. It really is about us taking responsibility of healing our hurts so we don’t end up with dementia or any form or illness. Absolutely Elizabeth, bring it back to the root cause of any disease is imperative. ‘When we don’t deal with our hurts we don’t want to be in our bodies and that brings about the need to check out.’ We have to be responsible for healing ourselves. It’s an important point you raise here Janina because we aren’t taught as a general rule what ‘checking out’ is and not to check out. I know from experience that there are the obvious checkouts, like losing yourself in social media, or a book or a computer game but there are the other much more subtle ways where we simply may not want to know something and divert attention away with a thought or an action. When I do this I deliberately disconnect and it has an effect on me later that leaves me maybe feeling tired, hungry, demotivated or emotional. It’s not an obvious correlation but it is one I have begun to recognise and know by simply observing myself and what I’m feeling. Interesting to understand the effects checking out can have on us at a later point in time as you say here Rosanna, like feeling hungry, tired, demotivated and emotional. I can relate to this, but also know that when I stay focussed on what I am doing, and bring true purpose the complete opposite to all the above happens. Its quite extraordinary! The checked outness of life most of us are living in the world from all ages is a real epidemic and opening this out for true discussion and awareness is vital in the world, and is beautifully shared with a realness and honesty here to be seen and known what is really going on and the simple changes and choices we can all make for us to stop this with true love and responsibility. 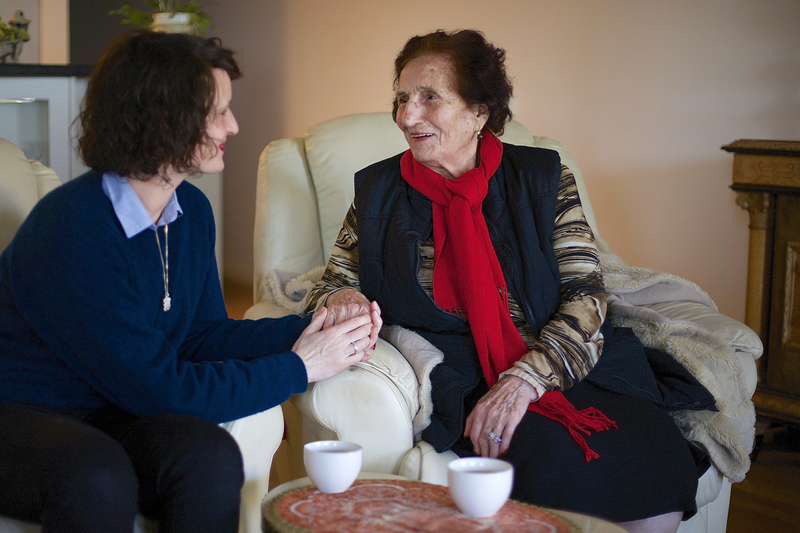 Dementia has now become a major factor that effects many families. The ‘c’ word was seen as the biggest concern, but with these growing rates in escapism with dementia it looks like the ‘d’ word has over taken in our modern day living. That is a good point, cancer is less feared these days as although the cancer rates continue to soar upwards the medical profession are getting better at keeping us alive despite that, but anyone who has spent any time around a dementia patient doesn’t want that end of life for themselves or anyone else. That is so true, and hence there is a big fear around dementia, and opportunity for people to take responsibility so that it does not creep into their life. No coincidence that there is a rise in cases of dementia and checking out in a world with more methods of escaping and being distracted than ever before. The best way to offset ill-conditions is to live in a way that inspires and not judges. It is very revealing to feel how so many children are now checked out. “We need to really start to ponder on what is going on here, and to start the discussion…. what has led us to this epidemic?” No one is talking about what we have done to be in such a messy frightening place when it comes to the ever growing statistics with dementia. We don’t just get dementia – dementia happens over many years and will always start with disengagement and disillusionment from life. It is quite shocking to take stock how and when, how often and how deeply we check out but a great step to living life more fully. You don’t have to check out. I know plenty of people in their 80s and even 90s who don’t check out, who are very much there. As with many things in life we have come to except that dementia is just a fact of life, something many people will get when growing older. But could it be that this perceived acceptance is already a form of checking out? We do not look at the reality anymore which shows us it is not just simply old age, for if it was should it not have happened in the same way 50 or more years ago? And why is it happening to people in the 40′ and 50’s now as well? If we truly want to look at what is behind this epidemic we need to first be willing to see to the detail what is going on. The way we use technology to escape life only seems to have escalated our checking out. Seeing the true devastating affects dementia wreaks it’s clear that there’s no app that will fix this. I pondered recently about the fact, that we think, that when you get older it is “normal” to get a disease like dementia. What if it is not normal that at a certain age, you don´t feel vital, you have no spark anymore and that it is all about, either travelling the world, waiting to die or “enjoying” life by doing nothing. What if the whole system and pictures we have of ageing is a huge lie and actually does not honour any of our elderly, wise people. How much comfort do we seek by getting older and what if working with purpose for the all is our greatest prevention for any kind of disease in life? What we see in nursing homes is the end result of having dementia already for a long time, I just read an article from a professor of psychiatry and ageing at the university of Edinburgh who suggest that prevention of this disease needs to start earlier, in our midlife, lifestyle decisions around that age will impact our chance of getting dementia. So yes we need this discussion around what is going on with this epedemic and to become very honest how we are contributing with living unaware and checked out a lot. For myself I’ve noticed that I need to be much more present in small things, like ‘did I locked the car, where did I put my sunglasses (even when I’ve put them away 5 minutes ago’) Hallo where are you? One just needs to take a glimpse of our everyday behaviours how often are we checking our devices, checking screens looking to be entertained and longing for endless holidays. All in the pursuit of disengaging with life. That is a great point and much of this ‘checking’ is for the purpose of checking out. This is such a great point Annelies as it is exactly these small things that we forget so quickly that are potentially the beginnings of Dementia, and they can actually start when we are quite young. So if dementia is not only on the increase in older people, but people are being diagnosed with the condition younger and younger, prevention at an earlier age makes complete sense.